subsequently completed with distinction a Postgraduate course and an Opera course at Royal Academy of Music in London. Andri was a National Opera Studio trainee 2013-2014, and gratefully acknowledges Dame Kiri Te Kanawa and the Kiri Te Kanawa Foundation who provided him with significant mentoring and financial support. Andri was a member of the International Opera Studio in Zürich, Switzerland for the season 2014-15. His roles there and at the Zürich Opera House included Sprecher and Second Priest in Die Zauberflöte, Der König in Die Gänsemagd, Brabantische Edle in Lohengrin and Fedja Dawidowitsch Pronin in Fälle by Oscar Strasnoy. He will return to Zürich Opera as a guest next season to sing Sprecher in their revival of Die Zauberflöte and the roles of Priest/ Pan/ He in Purcell’s King Arthur. Music. Andri also sang the bass part in Trauernacht, a staged performance based on J. S. Bach’s Sacred Cantata with the Académie européenne de musique of the Festival d’Aix-en-Provence. He has since travelled with this production to Amsterdam, Valence and Paris. His roles with Royal Academy Opera included Don Villotto in La vera costanza, Herr Buff in Mozart’s Der Schauspieldirektor, Gremin in Tchaikovsky’s Eugene Onegin and Arthur in Peter Maxwell Davies’s The Lighthouse. Andri’s oratorio repertoire includes Bach’s Cantatas and St John Passion, Handel’s Messiah, Haydn’s Harmoniemesse and The Creation, Mozart’s Requiem and Coronation Mass KV 317, Puccini’s Messa di Gloria and Ravel’s L’enfant et les sortileges. Engagement prize from Oper Graz. He was recently a semi-finalist in the The Queen Sonja International Music Competition 2015. He has undertaken masterclasses with Dame Kiri Te Kanawa, Sir Thomas Allen, Kristinn Sigmundsson, Susan Bullock, Angelika Kirchschlager, Richard Bonynge, Dennis O’Neill CBE, José Carreras, Roger Vignoles, Dalton Baldwin, Richard Stokes and Galina Pisarenko. 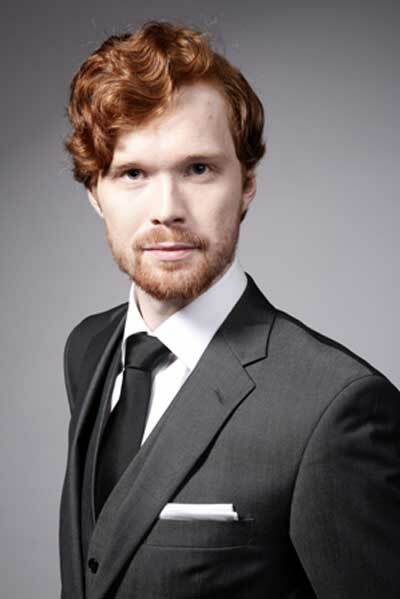 He attended the Solti Te Kanawa Accademia di bel canto in 2009 and is a Samling Artist.